Irrigation has been popular since ancient times. This has helped countless civilizations across the globe to flourish. The technicalities of irrigation have been improved upon over the years. Now there are advanced equipment and irrigation techniques that make the whole process easier. You will save quite a lot of time and you will be able to save money in the long run as well. There are many irrigation methods that you can use. But you have to figure out which suits you best depending on a variety of factors. We will be discussing these factors in this article below. You need to be aware of what method will work best for your situation. You will have to know what kind of irrigation methods there are and be aware of their pros and cons. A lot of these were passed down from generation to generation in the past. By this time we have collected a wealth of information about irrigation and in these times, information is freely available for everyone. To ensure that you get a successful crop, you need to make sure that they are getting sufficient water. 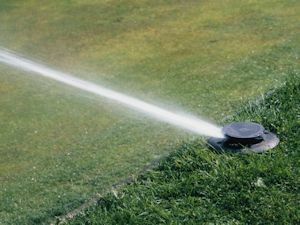 You will have to look at different types of irrigation pumps to find out which is more appropriate for your situation. You need to look at the type of soil in your area as it has an impact on the type of method you will have to use and also the run times for irrigation. If you live in an area with sandy soil, it will need regular application of water to keep the root zones moist. More compact and tight soil will be able to hold water better but in that case you will need to have a low rate of application to avoid runoff. The topography of the land will also impact your decision. You need to figure out how to lay an large diameter irrigation pipe and create a pipe system. You will find that it becomes quite difficult in sloping or hilly lands. The weather is another consideration. If you live in an area with high winds, you will not be able to get the most use out of a sprinkler system. It will blow the water away and the crops will not get as much water. Also, for those farming in arid areas, you have to be concerned about the loss of water through evaporation due to low humidity. The types of crops you grow need different amounts of water. If you’re growing crops that have a high value such as vegetables and small fruits, you can use drip and sprinkler systems. This is because these systems need a high investment. Water quality is another consideration.